Our next prospect in the Top 100 countdown is one of the livest, most interesting arms in the system. His 2018 was cut short because of injury, but he showed some promise in the short time he pitched. 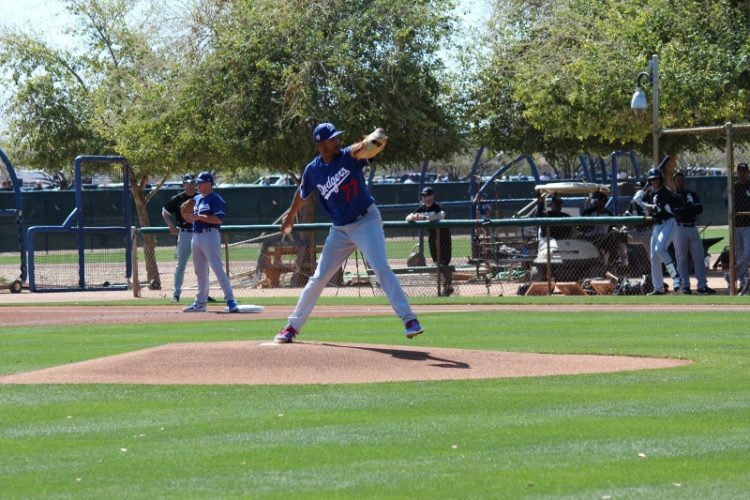 Summary: The Dodgers have turned a sub-$200,000 investment into one of the best pitching prospects in the system. Santana made his MLB debut last season, but lasted just 3 2/3 innings before succumbing to a rotator cuff injury that cost him the rest of the season. He’s fully recovered from it, thankfully. In his short stint, he gave up five runs, walked one and struck out four. The start was in Colorado, but he showed some promise despite the ugly stat line. Before his surprising promotion in June, Santana showed well in Double- and Triple-A. His first start with Oklahoma City saw him throw six shutout innings and strike out 11 hitters. He struck out double-digit hitters in three of his 10 minor-league starts. 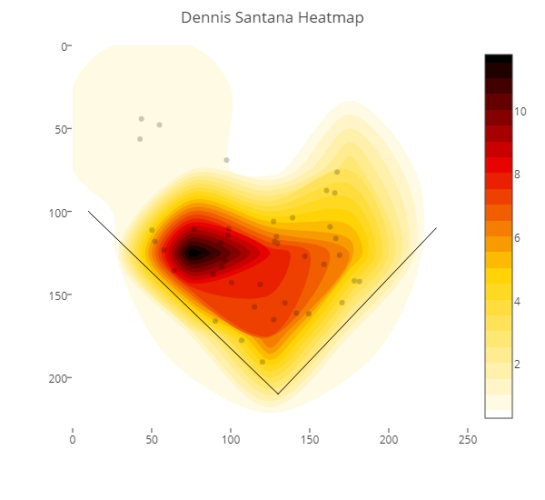 Santana, despite being a former infielder, has some great stuff and not a lot of mileage on his arm. His fastball sits in the 93-95 MPH range and touches 98. He gets plenty of arm-side run on his heater that helps keep his ground ball rate in the 50-plus percent range. What’s interesting about a him is that as a ground ball pitcher, he can get strikeouts. He can do that with the fastball, but his mid-80s slider is even better at missing bats. It has good depth and tilt with its 10-4 break. It’s a weapon against both left- and right-handed hitters. While it misses more bats, it’s more inconsistent than his fastball, hence the difference in grades. His changeup is still a work in progress. It’s a high-80s pitch that has flashed average. The biggest issue is that it isn’t that different from a traditional 2-seam fastball. It needs more refinement to get more fade to be more effective against opposing hitters. His delivery isn’t what you would call “picturesque.” He has a cross-body delivery that is sometimes difficult to repeat. And because his fastball moves so much, it’s hard to fully command it at times. But when things are right, his pitches explode out of the three-quarters arm slot. Santana has mid-rotation upside if he can continue to develop his changeup. At this point, it — not his command/control — will determine whether he’s a starter or reliever in the long run. 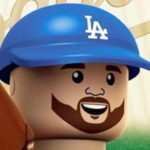 If he has to move to the bullpen, he could be a great high-leverage reliever — perhaps even the heir apparent to Kenley Jansen. Either way, he has an MLB-quality arm and should be an effective pitcher. 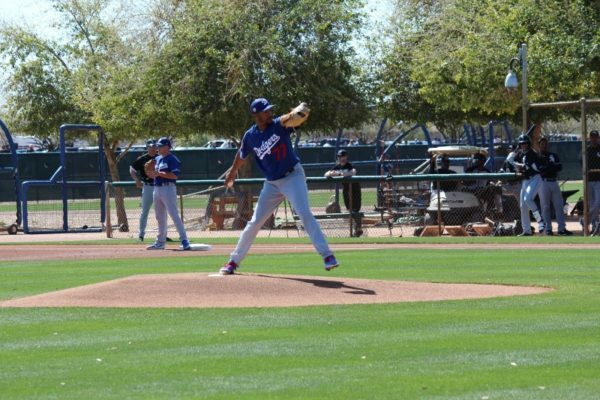 He’ll likely begin the season with Triple-A Oklahoma City and be among the first pitchers recalled, especially if the MLB club needs a starter.